Your channel page is up and running and you’re feeling comfortable on cam, so what comes next? 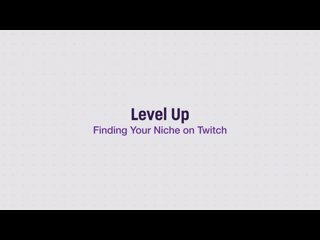 Learn how to build your brand on social media, leverage stats about your stream, and make the most of emotes, badges, and extensions. It's time to establish your brand and find your niche. This can be a tricky step, but also one of the most exciting! Emotes are emoticons that viewers can use in chat. They're also one of the most powerful branding tools at your disposal. Understanding your audience is key to growing it. Luckily, you can find a lot of data and channel analytics on your Dashboard. 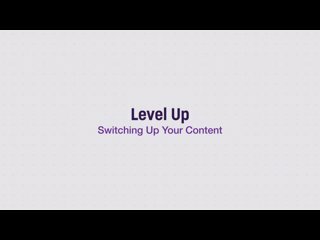 Extensions are interactive overlays and panels that can boost your community's interactions with you, each other, and your stream. Your streams deserve an audience. Learn to leverage social media to keep your community engaged and attract new viewers. © 2019 Twitch Interactive, Inc. Please share how we can improve Twitch Creator Camp.